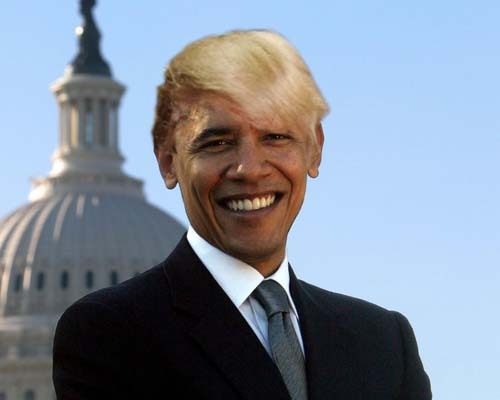 Donald Trump & Barack Obama: Brothers From Another Borough? Donald Trump’s offer to donate $5m to the charity of Barack Obama’s choice if the President released his college records and passport application has been widely derided, but most were not as witty as Obama’s own riposte, issued on the Tonight Show with Jay Leno last night. It’s not. And since this will have only exacerbated the antipathy between the two, don’t expect Trump to make the one donation to the election campaign that would engage voters, inject some much needed humour and most importantly for the property mogul, embarrass the incumbent to the point where anyone planning to cast a vote for him would think twice. Which is presumably what Trumples was trying to do in the first place. ← Ikea vs. FEMEN: Lock Up Your Sofas!